Simply put, Exclaimer is signature management software that works alongside all email programs and from wherever the sender is in the world. Exclaimer is a lot more powerful than competitor products and is designed to be used across all devices meaning that branding can be consistent throughout a company with ease. Any device that sends an email will automatically get the signature applied. 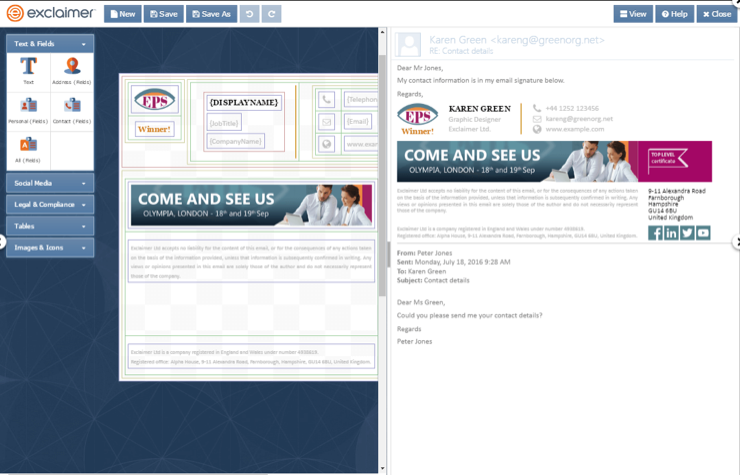 This makes mobile working more streamlined with mobile devices sending the same signature as if sent from the office. The signatures are designed and controlled from a web interface meaning that they can be updated and changed at any time. This makes introducing changes to the signature across the whole network a quick job with no concerns that there are varying versions for different staff members. It will also take live information from Office 365 so that if any details are changed such as Name/Job Title or Email address, it will then be updated on the signature with no additional work. 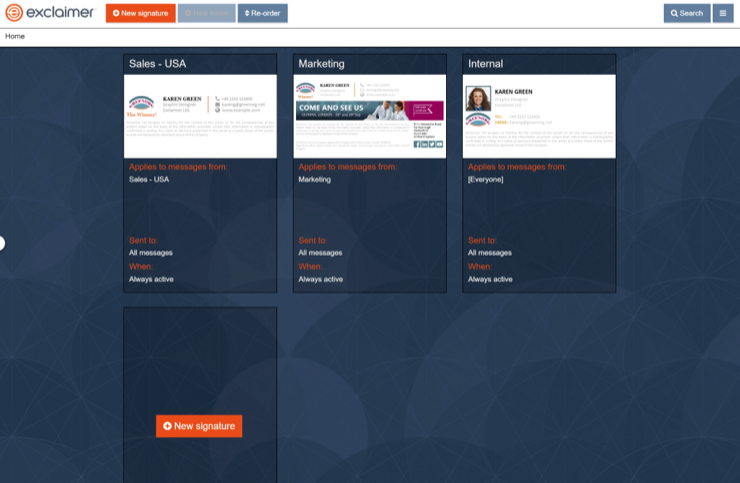 Social media tiles can easily be added to the signatures with links to the relevant pages to ensure that recipients are guided to the latest pages. 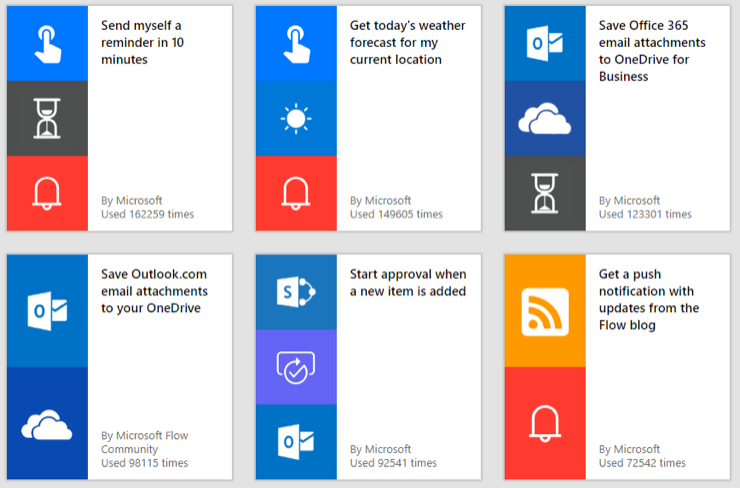 The product is very easy to setup into the current Office 365 environment which includes no install on the end users’ machine, and only a few hours of set up time required within Exclaimer and Office 365. Simply configure the signature using the easy online editor and from there apply to the relevant people. 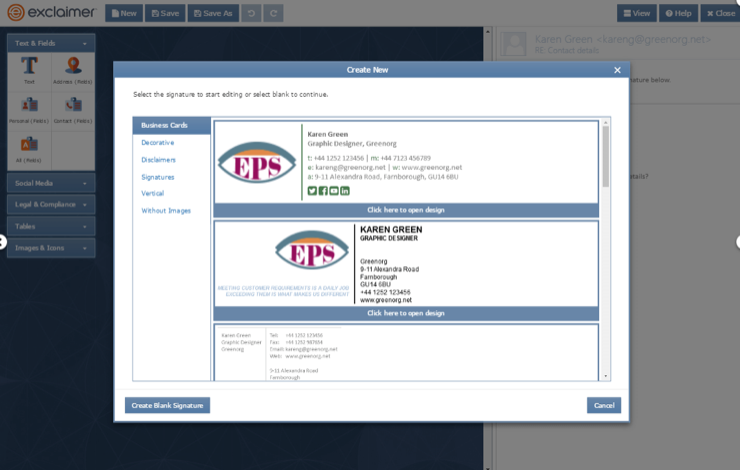 You can create multiple signatures for different departments and choose only to apply to them. The process of applying the signatures is secure as it never leaves the Microsoft cloud network meaning no concerns about data being accessed from external signature providers. 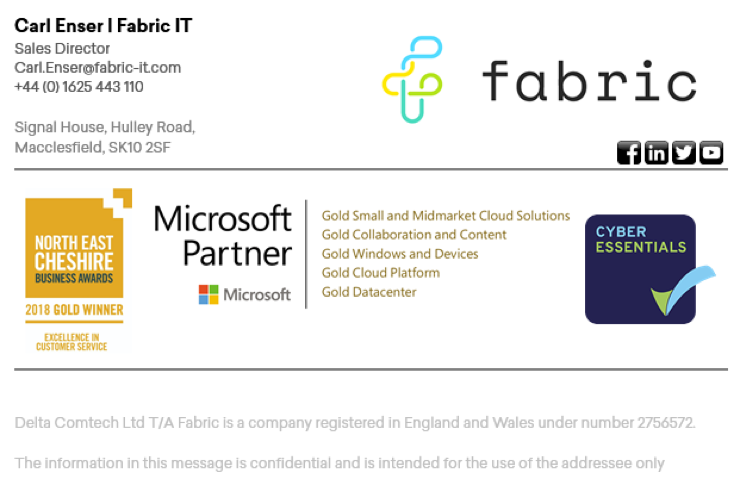 At Fabric, we use Exclaimer and have been able to regularly update our signature to include current social media links, include high quality images and maintain a consistent email branding throughout the business.